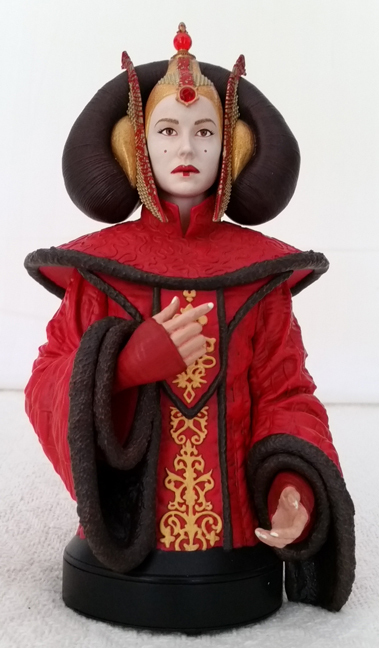 Having previously made a Queen Amidala collectible bust in their Star Wars Classics line, Gentle Giant has produced their third mini bust of Padmé Amidala and first to portray her as the Queen of Naboo. 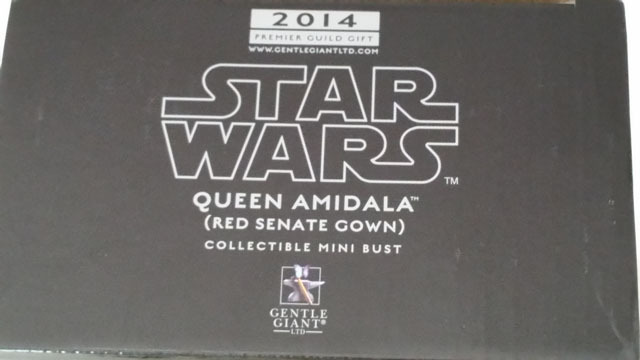 Oddly, Gentle Giant has misidentified the outfit as “Red Senate Gown.” She is actually wearing the Royal outfit that she wore on Naboo at the beginning of Star Wars Episode I — The Phantom Menace. 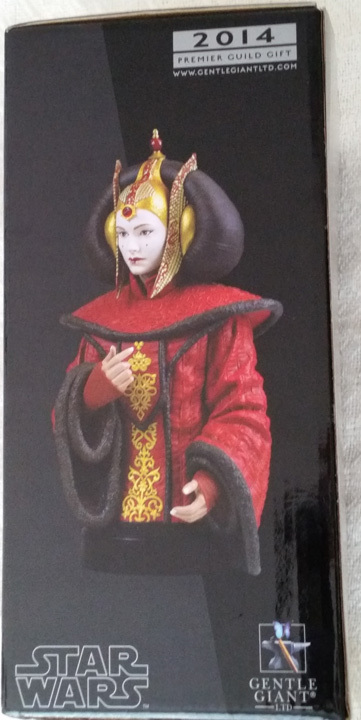 This is the same outfit seen in the Classics line. 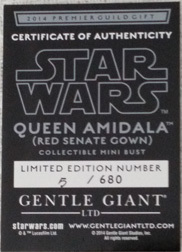 Perhaps they intended to do the red senate gown, but found it too difficult to produce, and never changed the name. 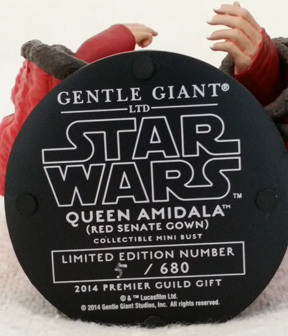 I believe #5 is the lowest edition number that I have for any Gentle Giant item. 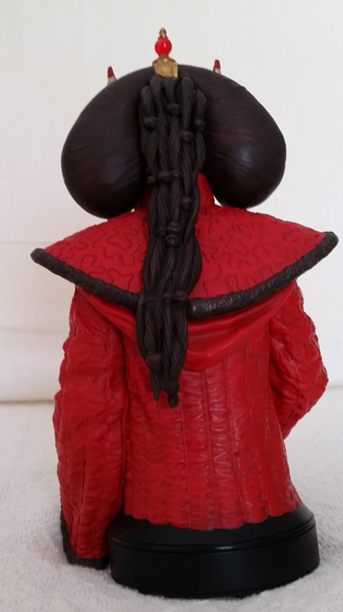 This mini bust was one of three options for the gift given to collectors who joined the Premier Guild in 2014. I renewed my Premier Guild membership for 2014 on December 31, 2013. 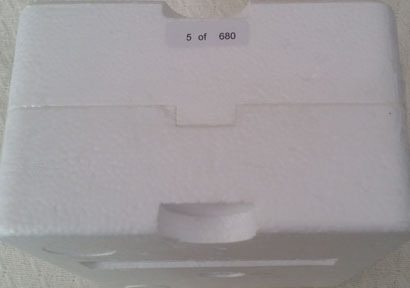 I ordered the mini bust on July 8, 2014. 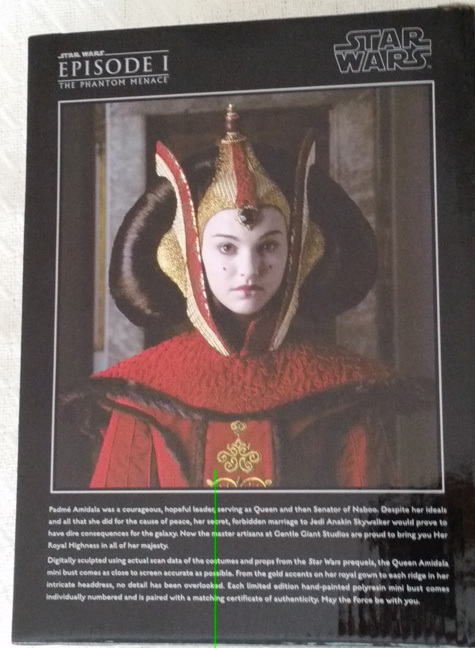 It finally arrived on May 28, 2015.